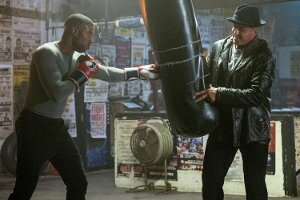 The second outing for this Rocky spin-off series picks up with Adonis Creed doing a balancing act between personal obligations and training for his next big fight. He is up against the challenge of his life, facing an opponent with ties to his family’s past. 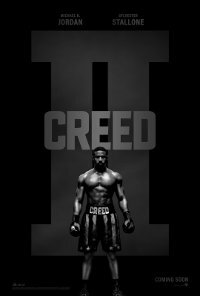 Rocky is at his side through it all and, together, they will confront their shared legacy, question what’s worth fighting for, and discover that nothing is more important than family. Language Moderate impact infrequent crude language used in expressing frustrations, swearing and in conversations between characters. Violence Moderate impact frequent violence justified within the context of telling a boxing story. Comments The material contains complex and mature themes presented within the context of a boxing competition. The themes explored include boxing fights, having courage and family love, a fighting competition to retain a father’s glory and finding closure, a son dealing with rejection a mother, doing the right thing for the wrong reasons, forgiveness and reconciliation. These themes contains a sense of threat and menace. Themes of boxing fights with the intention of seeking revenge and dealing with rejection from the loved ones could be inappropriate, upsetting and may cause moral as well psychological harm to younger viewers under the age 13 years who may not be able to comprehend the context of the storyline.